I had the pleasure of meeting Roger Manthel, one of the original owners of the Mantel Building situated on the corner of Wakefield and Taranaki Street – soon to be Xero’s new home in Wellington for over 600 employees. This building has a long history and it was interesting to hear about it directly from Roger. Roger’s father, Noel Manthel, owned Manthel Motors Ltd, a General Motors vehicle dealership. They were originally located across Wakefield, but they bought what is now the Manthel building in 1944. Their move was delayed, however, by the New Zealand Army. The army commandeered the building and used it to store army supplies. It wasn’t until 1948 that the Manthel’s could move in. They made many changes to the building to make it suitable for a car dealership, including adding a ramp for cars to be driven up to and down from the first floor. Roger was 12 years old when his father moved his dealership. 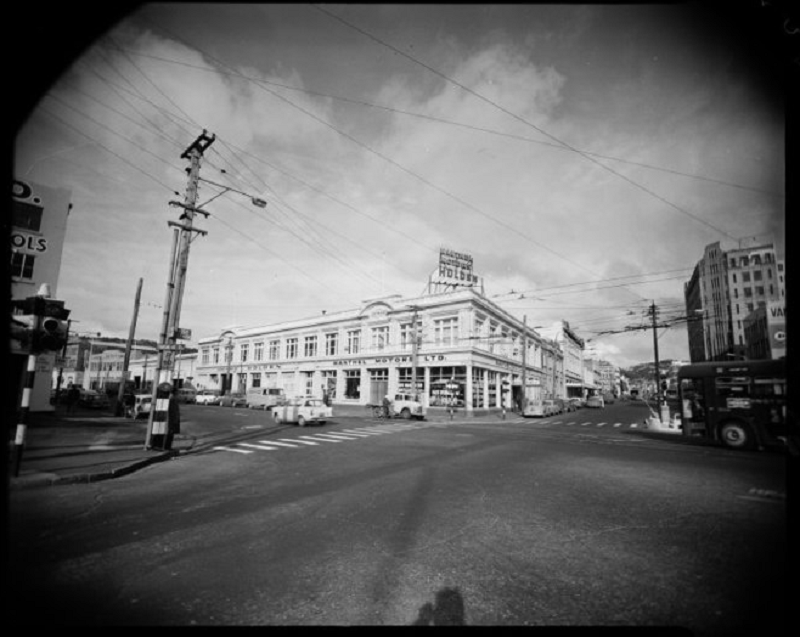 They occupied the site for just under 40 years from 1948-1984 and it was one of Wellington’s most successful car dealerships. Roger took over the management of the business and successfully listed it as a public company in 1964. It remained that way until 1987, when it privatised. Shortly after, they sold their Wellington city and Porirua franchises to Wrightcars. The building was then leased to a variety of tenants. When we turned the building into part of our Wellington headquaters we named the biggest meeting room Manthel in honor of the Manthel family. Today, the two level building is in the middle of being totally renovated and earthquake strengthened. We will be turning it into a new five-story block, with the original facade remaining on the two bottom floors. Our team is currently spread across three different building in the city. We’re all looking forward to being co-located in the Manthel Building. We’ll do the long history this building proud when we become the new tenants. And following in Manthel’s footsteps of being a great Wellington export company is a wonderful thing. The post Rodger Manthel shares some background on Xero’s new home appeared first on Xero Blog. Xero’s Amy Vetter named one of the most powerful women in accounting, again!